If you are self-employed, you probably know that you have to set aside fifteen to twenty percent of your income to pay self-employment taxes. What many people don’t know is that you can save a serious chunk of change by capitalizing on self-employed tax deductions. When I first started out, I only knew about two of these seven deductions. I’ve met tons of freelancers, contractors, and entrepreneurs who also had no idea these deductions existed until it was too late. Don’t miss an opportunity to save yourself some hard-earned money! 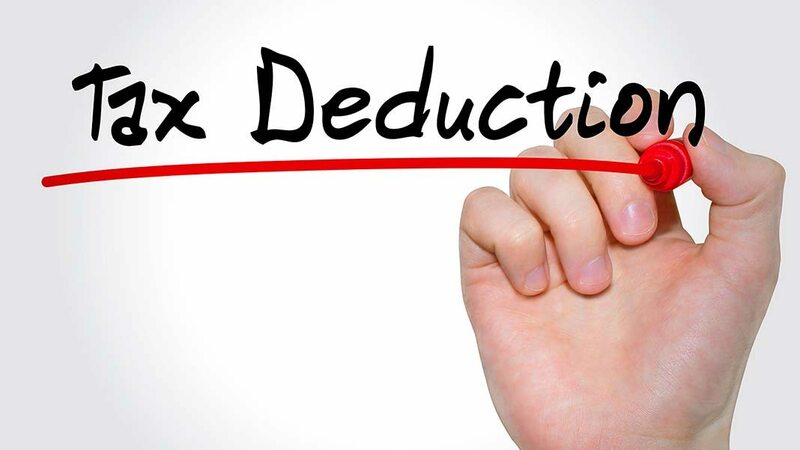 Here are seven deductions you should start tracking now. If you are self-employed, you can write off business-related mileage. Whether you’re commuting to an office every day, working at your favorite coffee shop across town, driving to a meeting with a client, or delivering goods to a customer, all of these can count toward the mileage deduction. When I first worked as an independent contractor, I knew I could track my mileage but didn’t think it was worth it since I only drove eight miles round-trip to a local coffee shop to work once or twice a week. Despite my disbelief, I was surprised to see how quickly these miles added up! Given the 2018 mileage deduction rate of 54.5 cents per mile, tracking your miles really does pay off. All you have to do is keep a log of your starting and ending mileage using a mileage tracking mobile app or notebook. This deduction is one of the most important to stay on top of throughout the year because, unless you have a perfect photographic memory, you can’t go back and reference your starting and ending mileage for every business-related drive! As a self-employed individual, you can write off office supplies like pens, paper, envelopes, ink, etc. Simply save your receipts from all of your office purchases. If you aren’t sure whether a certain purchase counts as an office expense, save the receipt and ask your accountant at the end of the year. Better to be safe than sorry. Just like office supplies, the hardware and software required to run your business can also count as a deduction. If you are a web developer who purchased a new computer or a photographer who purchased a new camera, you can write these off as expenses. Talk to your accountant about the best way to record hardware purchases as some may need to be depreciated. You can also deduct software subscriptions or purchases. Use QuickBooks for accounting? You can write it off. Same goes for programs like MailChimp, TSheets, etc. Save any receipts or monthly statements from your software subscriptions so your accountant can add them to your deductions at the end of the year. Coffee and meals are another area where the deductions might not seem like much but can add up quickly. Keep track of food or beverages that you purchase while working out of the office or meeting clients. You won’t be able to write off the entire expense, but you can usually deduct up to half of meal and entertainment expenses related to business. Be sure to save the receipts in case of an audit. Certain educational expenses are deductible as well, so long as they are directly related to your current line of work. This can include tuition. The best way to maximize this deduction is to talk to your accountant. When I first started out as an independent contractor, I had no idea you could deduct tuition. Luckily, my accountant did know, and it saved me hundreds on my tax return. Keep track of any tuition or other education expenses throughout the year to make things easier on your accountant come April. There are a lot of perks to being self-employed. Unfortunately, having to provide your own health care isn’t one of them. The good news is that your health insurance premiums are often deductible, so keep track of all health insurance payments you make throughout the year. This deduction comes with some fairly specific criteria. Talk to your accountant to see if you qualify. You can also receive a deduction for contributing to a retirement plan. If you make contributions to a SEP or SIMPLE IRA plan, keep careful records of your total contributions throughout the year. Often, there is a maximum deduction for retirement contributions, so be sure to ask your accountant how much you can deduct. When it comes to self-employment deductions, don’t wait until April to start searching for savings. Carefully tracking your spending throughout the year will ensure that you don’t miss out on key deductions and that you have the proper receipts and documents to back up them up in case of an audit. Keep all your receipts and miles organized or use an accounting program like AND CO or QuickBooks Self-Employed to keep track of everything. Taking these steps to stay track your deductions now will quite literally pay off down the road and will have you marching into tax season prepared and confident. Chelsea Krause is the Head Accounting and Invoicing writer for Merchant Maverick, a small business software review site. Powered by a desire to see small businesses succeed, Chelsea specializes in transforming accounting expertise and research into helpful small business advice. Follow Chelsea on Twitter @AccountingMage.